After two weeks without DLC, Rockstar released a new content update for Grand Theft Auto Online today, once again keeping themselves to the Tuesday release timeframe we’ve gotten used to over the years. While going two weeks without any new content may not seem to be a big issue to outsiders, after going over a year with an unwavering content release every single Tuesday, Rockstar led us all to expect this trend – and now it’s back. 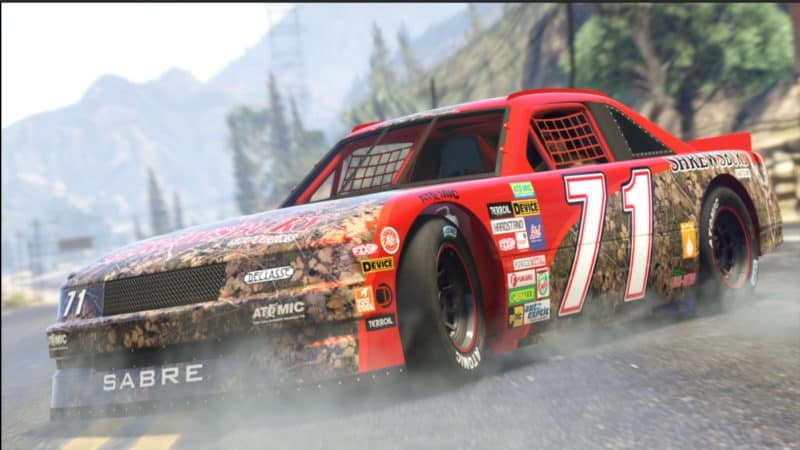 Today the Southern San Andreas Super Sport Series, a DLC which maxes out alliteration in the title like no other, has been added to GTA Online. Granted, it’s a minor DLC compared to the likes of The Doomsday Heist or Smuggler’s Run, but it’s more substantial than the single vehicle or odd Adversary Mode we’ve been getting week over week. The update, “SSASSS”, brings a new kind of race as well as 5 new vehicles to the game. The new racing mode, called the Hotring Circuit, doesn’t quite feel like the thing you’d throw all the fanfare of a new DLC for. 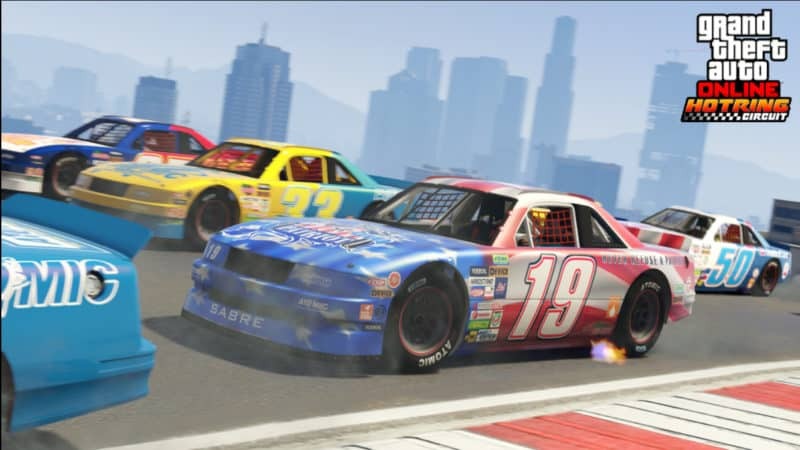 The mode is locked to the new Declasse Hotring Sabre vehicle and sees 30 players race together on the same track across a multi-lap race. Currently there are 10 Hotring Circuit maps in the game, though the DLC announcement seems to indicate that players will soon be able to make their own Hotring maps in the Creator. With an entire new mode dedicated to it, you’d think the Hotring Sabre – which costs $830,000 – is the star of this update, however four other vehicles join this livery-covered ride. The Cheval Taipan and the Overflod Entity XXR are representing the concept hypercar category which Rockstar loves oh so much, costing GTA$ 1,980,000 and 2,305,000 respectively. The Vapid GB200 is a highly customizable rally car which can be yours for GTA$ 940,000. The most unique offering of this DLC is the Vulcar Fagaloa, a retro station wagon which can be highly customized. While that’s all for today’s DLC, Rockstar has also revealed what to expect in the coming weeks. On the 3rd of April, the Target Assault Adversary Mode will be released, which sees teams of two driving turreted vehicles and working together to simultaneously win a race while also hitting the most targets as possible. We predict this mode will be the death of many friendships. Later, on the 1st of May, 10 new Special Vehicle races will be added to GTA Online featuring vehicles from The Doomsday Heist. Following that on the 29th of May, 7 new Transform Races will be added to the current line-up featuring vehicles that haven’t appeared in a Transform Race ever before. In addition to these races, two further Adversary Modes beyond Target Assault will be released, as well as a major update to the Creator which will add some of the most requested features. 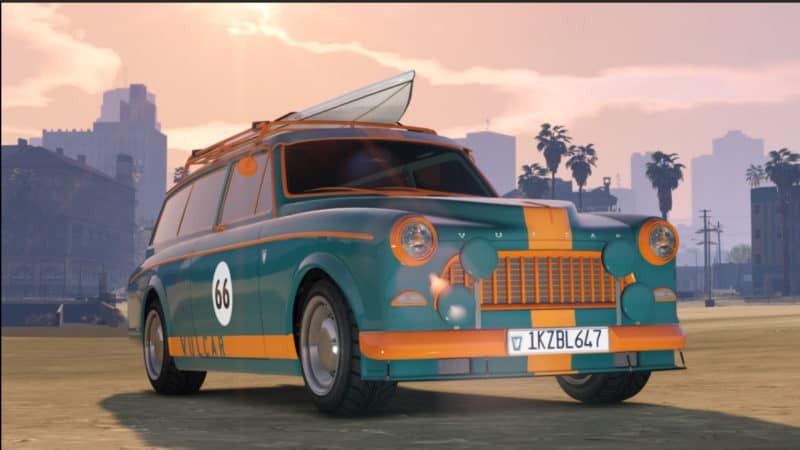 Datamined information suggests that another 4 weeks of dripfeed content can be expected before anything major arrives, however Rockstar will be switching things up by releasing multiple vehicles per week, as opposed to the “one vehicle and maybe an Adversary Mode” format they’ve been running until now. While the content schedule they’ve outlined reaches all the way till the end of May, we susepct that some bigger DLC will be released in the interim about which Rockstar is keeping quiet, like they usually do. Discounts haven’t been forgotten this week either. Executive office garages, custom auto shops, penthouse suites and 10 car garages are all 30% off, while an array of vehicle upgrades including engines, turbo, suspension, brakes, spoilers, transmission and bullet-proof tires are all 25% off. It’s hard to say how long the playerbase will be satisfied with more races and vehicles, as the GTA Online fandom can be a rowdy lot. 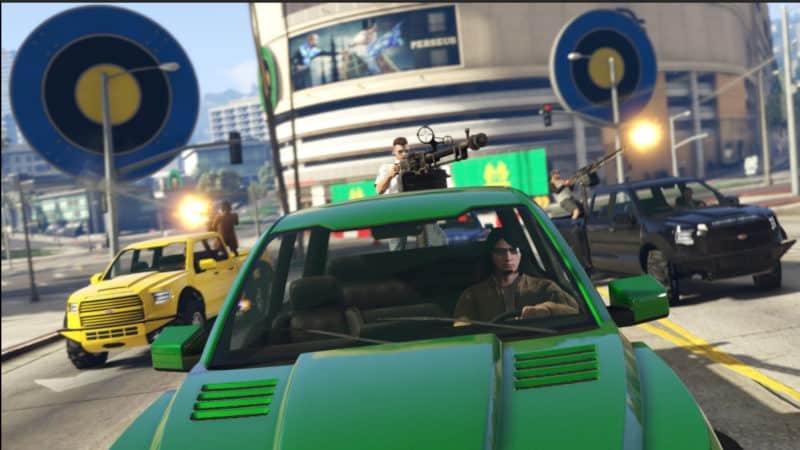 The last major DLC, The Doomsday Heist, had plenty of content to last a good long while, however the possibility of nothing of comparable scope arriving until June may trouble some fans. We’ll see if rumors of a larger GTA Online DLC coming sooner than that turn out to be true.